Red Alert! If you’re over 40 your brain is slowing down every day. The good news is you can, in the words of the young Taylor Swift, “shake it off”. Scientists say they have found evidence of something I preach in my dance based classes all the time and that is learning complicated dance moves is the best exercise for the brain. Understand that “complicated” is relative. A series of steps one person has trouble following might be easy to someone else. But what I’ve noticed in my classes is that those who stick with it, eventually get it. Not only do they remember the dance sequence but they also become faster at responding to the cues I give to keep moving. A recent study in the science journal, Frontiers in Aging Neuroscience took a unique scan of 174 seniors examining their white brain matter, which acts as the brain’s wiring. This white matter sends messages throughout the brain that scientists say move super fast in younger people. But as individuals age it becomes thinner and the connections slower. This study conducted at the University of Illinois in Urbana recruited these seniors to do different kinds of exercise including brisk walking, stretch and balancing and line dancing where they had to learn routines. The people who did the dancing were the only group to show improvement in their white matter. Many researchers have reported in past studies that exercise in general is the best exercise for the brain. They have thought it mostly benefits regeneration in the hippocampus, the area of memory and learning. They have also suggested steady moderate activity to be more beneficial than high impact exercises with force or weights that can be mentally stressful to push through. The researchers in the Illinois study confirmed this too finding all the participants, whether they danced, walked or stretched showed improvements on thinking tests. It’s important to note that those who were more sedentary before participating in the research showed the least improvement in their brain function. I suspect it’s a clue that watching Jeopardy or doing crossword puzzles doesn’t do much. The take home message is the same as always from this weekly blog #withDavida, stay active and keep moving. It leads to better overall health physically, psychologically and mentally. But now we know dancing is not only more social and more joyful but it can probably keep your brain processing better. See if your doctor agrees that you should take up a dance class. It’s way more fun than a crossword puzzle any day! 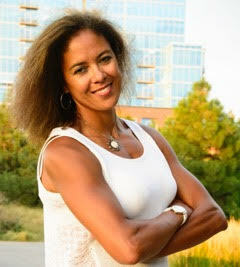 Davida is a fitness professional and former award winning health and science television reporter. As a mother and wife she juggles the daily challenges of raising three children, working and staying active. She likes to make fitness fun and helping people find joy in exercise so we can cure the obesity epidemic in our country. --------------------- UNIVERSITY OF NEVADA, BACHELOR OF ARTS, Journalism; Certifications (Present and Past): AFAA Group Training, BodyPump, Zumba, Balletone, SCW Personal Training Certification, Turbo Kickboxing, YMCA Personal Training Certification, Vegas Stiletto Fitness, Reebok Core Board Training Certification, CPR/AED & Infant CPR; YMCA Fitness Instructor Certification -------------------- If you’re in the Denver area find her class or fitness events at www.withDavida.com. Have fun, feel fit #withDavida!